Bill Zender's Advantage Play was written by an old Las Vegas casino manager and control agent of gaming. Written mainly for casino executives, this great textbook would also be a must-read for any serious casino player out there. This book is filled with chapters focusing on blackjack, how to read the hole card of the dealer, shuffle tracking, defending against the bias of the roulette wheel and the rhythm rolling in craps, and strategies for card location. It also has appendices on perfect hole card strategies and hole card warp strategies. Zender wrote this particular book right after his great book on Casino Executive Card-Counting. Stanford Wong's Basic Blackjack presents the expected values and basic strategies for practically every unusual variation in the rules out there. Some rule examples include no dealer hole card, double downs on at least three cards, splits with a riding bet that doesn't need to be matched, early surrender, multiple action, five cards that can be given up for half a win, double exposure, and over/under. Some interesting tables are also included like the probabilities of the dealer's final total by the up-card, the chances of naturals by the amount of decks, as well as which hands are going to have expected values that are positive depending on the dealer's up-card. 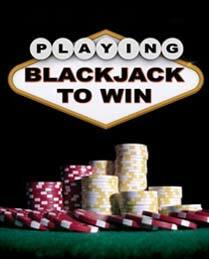 This particular book of blackjack even explains certain techniques on how to win the game without resulting to card-counting through tells, front loading, warps and spooking. All of these methods are legal and can get you an edge in blackjack where dealer manually checks if hole cards are an Ace or not. The majority of casinos do not use this process anymore, though. However, if you do find casinos where dealers check fewer than 10s, know that these methods can be used in order to make fast money as described within this book. Arnold Snyder's Blackjack Blackbelt is a full course on how to beat casino blackjack. Arnold Snyder sees himself as the biggest blackjack authority in the world. In fact, this book is seen as an underground bible on how to beat the game as a whole. The classic original guide has received a total update with new information to fit today's games. All of the things are covered: the basics, the rules, the beginners' and professionals' strategies for betting, and expert techniques. Get it today.